"We all experience life in our own unique way and we all deal with issues that come up in different ways as well. These issues can come from a variety of places, including the impact that society and societal norms have on every one of us. This affects us in ways that are easily seen or not so easily seen. My approach to therapy is a collaborative one where we work together, both bringing our respective expertise. I focus on what works for each individual client in helping to move through those issues to find empowerment, new perspectives and ideas, and maybe a few more tools in the tool belt." Nic Siniscalchi, ACMHC-I is currently obtaining his M.Ed. in Clinical Mental Health Counseling at the University of Utah . He earned his bachelor's degree in Psychology from Utah State University, with a minor in Organizational Communication. 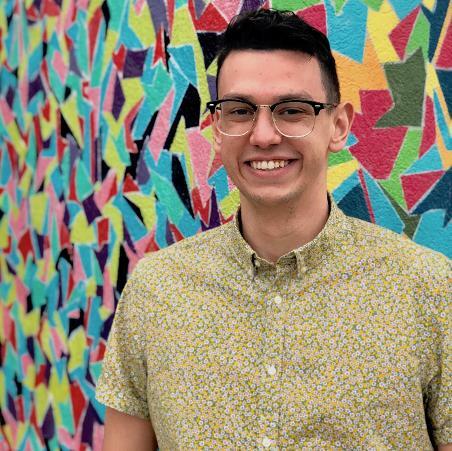 Nic has a wide array of clinical experiences ranging from working in residential treatment, as an intern for the LGBTQ+ Resource Center at USU, and working as a research assistant in several areas at the University of Utah. Before coming to Life Stone, he also worked in a student support clinic at the University of Utah providing individual therapy for adults facing a variety of challenges. Nic is also an active member of the LGBTQ+ Affirmative Therapists Guild of Utah. Nic practices in the Salt Lake location.